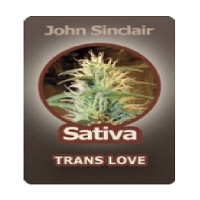 John Sinclair has made a legendary contribution to cannabis legalization. He became a heroic icon of counterculture and of cannabis activism when he in 1969 was arrested for giving two joints to an undercover narcotics officer. He was sentenced to 10 years for possession of marijuana. This event caused widespread reactions. Abbie Hoffmann jumped the stage during The Who’s concert during the legendary Woodstock Festival in protest of Sinclair’s arrestment, and several protest were issued in the aftermath of the arrest. It was not until two years after, however, that any of these protests would see any effect. John’s arrest and imprisonment sparked the landmark “Free John Now Rally” in Ann Arbour in Michigan in December 1971. This was a huge event with a significant presence of influential left-wing personalities, including John Lennon and Yoko Ono, Stevie Wonder, David Peel, Pete Seeger, Alan Ginsberg, Abbie Hoffmann, Jerry Rubin, and numerous others. John Lennon even recorded the song “Free John Sinclair” on his album Some Time in New York City (1972). Thanks to the enormous contribution to the concert and the massive protest against Sinclair’s imprisonment, the “Free John Now Rally” was successful. After the gathering, Michigan Supreme Court rules that the state’s marijuana laws were unconstitutional. John was released only three days after the rally, after having spent two of his ten year jail sentence. The arrest and subsequent liberation of John Sinclair became such an iconic case for the counterculture movement and for the legalization of cannabis. 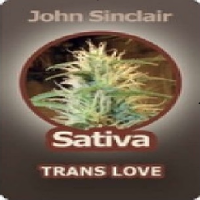 As a pro-cannabis activist, John Sinclair has long been fond of the liberal soft drugs laws of the Netherlands and has spent a good portion of the past decades studying the consequences of its decriminalization. He got affiliated with Ceres Seeds during his quest for freedom and cannabis excellence in the Netherlands, and has worked closely with the Ceres Seeds team to select four strains which mirror the taste of a cannabis connoisseur and legend. 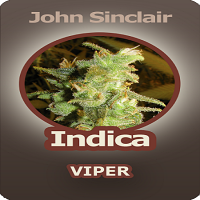 The result is the finest sativa, indica, skunk and indica x sativa you will find. Ceres Seeds are proud to donate a part of the benefits of John Sinclair Seeds to the John Sinclair Foundation.